All the animals are busy lending a hand in the garden in this lively numbers book! The parrots are pulling up carrots, the bears are picking pears and a swarm of bees are pruning the trees with their miniature shears. 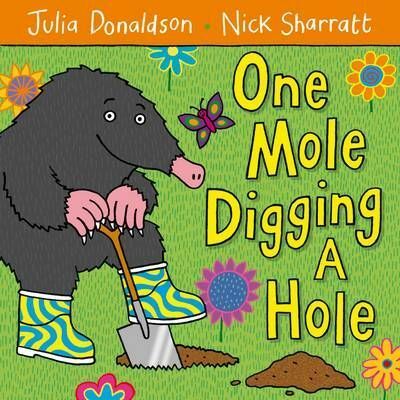 Julia Donaldson's whimsical rhymes and Nick Sharratt's hilarious illustrations make this book a delight to share out loud. With plenty to giggle at on every page, counting - or gardening - has never been so much fun!